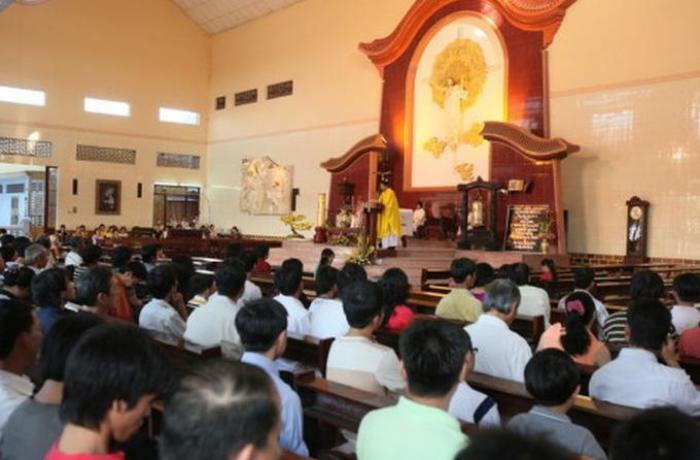 Ho Chi Minh City (AsiaNews) – In the period before Easter, some 43 young people were welcomed into the Catholic community in Ho Chi Minh City (Saigon), including 23 who were baptised three days ago in Tân Việt parish. Over the past three months, especially during Lent, these youth took part in intensive lessons on the catechesis and religious life. In their journey of faith, the catechumens received the spiritual support of all the parishioners, who urged them to become a tool of evangelisation in society. 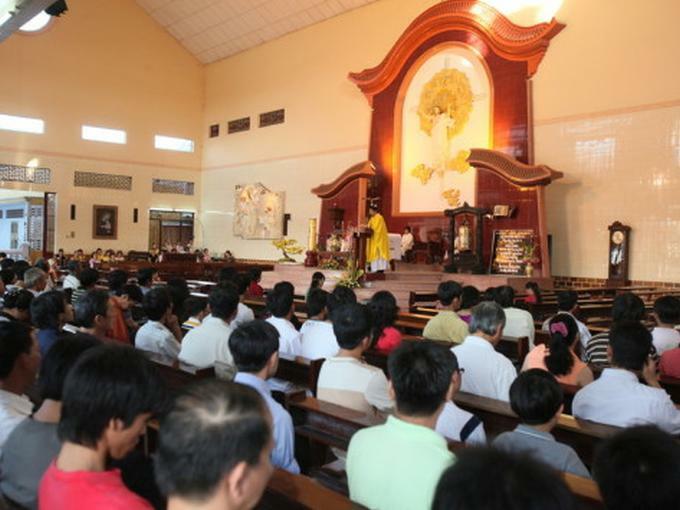 During the celebration of their baptism, Fr Dominique Vũ Ngọc Thủ, vicar of Tân Việt, told them: "After learning the teachings of the catechism and the Gospel, you recognised God’s love. You came to him to follow him and bear witness to his love in the world." At the end of the service, the newly baptised thanked the priests, catechists and faithful who explained the Catholic faith to them and accompanied them in their prayers. At Lent every year, the Redemptorist Fathers of Saigon organise several catechism courses for children, adults, couples and catechumens. This year, thousands of people took part in spiritual retreats and moments of prayer, which the priests held in various parishes within the archdiocese. Many young people also joined a number of charitable initiatives. Nearly 1,000 children participated in a retreat held between 8 and 10 April, including 20 from a group of 29 catechumens who were baptised on 7 April at the headquarters of the Order. During the service, Fr Joseph explained to them: "Today, with the seal of baptism and the sacrament of confirmation, you have become aware that the sign of Christians is the sign of the Holy Cross [...]. "This,” he went on to say, “is the sign of God's love for us. Especially you, 29 catechumens, should know how to always live according to the Word of God. We follow the sign of God's love, so as to bring it to the brothers and sisters who surround us."